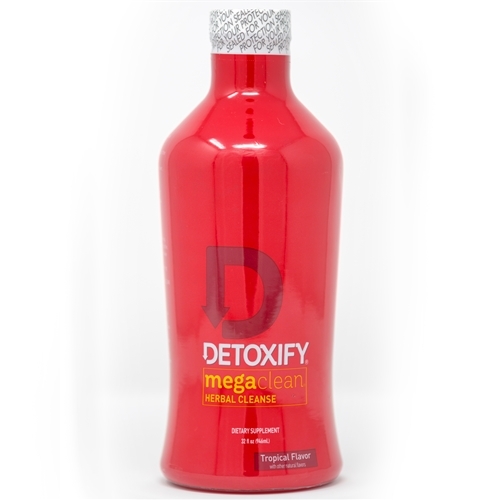 To maximize the usefulness of the Mega Clean detox product, a special drug test cleanse program will be designed for you. Please contact us for the best way to utilize the product for maximum benefits. It is permissible to consume up to 20 ounces of fluids every two hours until drinking Mega Clean Cleansing Drink and every two hours thereafter. Avoid toxins and toxic environments a MINIMUM of 48 hours before your personal cleansing deadline. The main key to passing a drug test using a drink product such as the Mega Clean detox is laying off all toxins for as long as possible before the test. Every hour you lay off, the body takes the toxin level down and down, and the drink product takes care of the rest. The people who fail on drink products keep driving their toxin level up and up, and the drinks never have a chance. Avoid high-fat or greasy foods before your test. Avoid alcoholic beverages, over-the-counter drugs or unnecessary medications. Begin drinking a recommended allowance of six, 16-ounce glasses of water per day. Water is a catalyst to the body's natural cleansing process. Use the six PreCleanse capsules from 12 to 24 hours prior to your test. In addition, the day of your personal cleansing deadline consume only light meals and urinate frequently to flush out toxins. Mega Clean detox drinks are for directly-supervised tests. More failing. I have not tested outside of my home yet so I can't say for sure however I have been using home tests and of course they show I fail. I stopped smoking about 3 days ago, used the pills yesterday and ordered a 2nd bottle so I could test this out. I drank the 32 oz in half hour, then waited and drank the water in about 10 min. 2 hours later I tested myself and I see a faint line on the test. wow simply amazing, of course the real test will determine but to see these results this fast after years of use, I am smiling bigger then ever. Thanks to your amazing product! More for 3 weeks before using mega clean. I also excercised and are clean for those 3 weeks to sweat out the THC Metabolites! This drink definitely helped to mask the remaining THC! I would definitely use again! Make sure to take the pre cleanse pills a day before with lots of water! And take the mega clean 2 hours before your test! Pee 3-4 times before the test and when you take the test, catch pee mid stream. This product is amazing and I would recommend to everyone that doesn’t have 30 days or more to cleanse! Don’t let the negative reviews get you down, trust this product! Mored. I'm 5ft tall and 120 pounds, Smoked cartridges everyday and had stopped smoking 6 days before taking the test. I ordered Mega Clean because I didn't have enough time to finish the detox program. Followed the instructions and found out I passed the lab test! Failed the home tests though so don't freak out if you try this and failed the home tests because you can still pass the lab test. Morest was coming so had stopped and by the time of the test was 24 days without toxins. Was still concerned since my weight could be an issue. I had 7 days before my test and started by using a treadmill for 30-60 minutes everyday. Drank 1 gallon of water each day. Ate only lean protein (turkey/chicken) and vegetables for that week. *no exercise or gallon of water day before or day of test* I took all three home tests within that seven days and failed all of them. Took the pills the day before as instructed and noticed some extra urination/bowel movements but nothing crazy (attribute this to the clean food I ate) Drank Megaclean the day of and urinated multiple times before test. The time free of toxins, exercise, water, and clean eating all helped but Megaclean was the extra insurance I needed.